A destination brand is shaped by the stories people tell each other. Consumers will share stories about their experiences. Do it right and they’ll do the marketing for you. Under deliver and they will become detractors. It’s the role of the DMO to lead the collection of stakeholders to market to the right people and deliver remarkable experiences. Fortunately a visitor’s experience is one of the few things a DMO and it’s stakeholders have control over. And NPS, or Nett Promoter Score is the perfect way to measure and benchmark this. NPS measures customer satisfaction by answering one question – How likely is it that you would recommend [brand xyz] to a friend or colleague? On a zero to ten scale, people who score a 9 or 10 are promoters, they will recommend your destination. People who score a 7 or 8 are passive while people who score between 0 and 6 are detractors. They will tell others not to go. 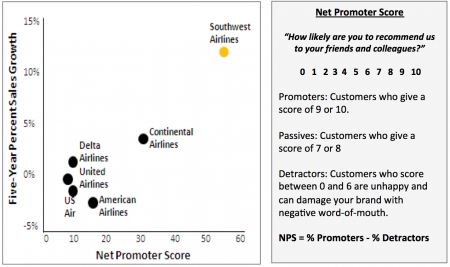 When you subtract the number of detractors from your promoters you end up with your Nett Promoter score. There’s a lot of evidence that a high NPS is a strong indicator for corporate growth. Southwest is known for it’s friendly staff and business practices. It stands out from most other airlines in the US. Southwest built a customer centered culture and considers “a high NPS indicates a strong competitive advantage“. They have posted 39 years of consecutive profits and this blog posts quantifies the results of their customer service efforts. I’ve been thinking about this for a while and have concluded that every DMO should measure NPS. Because not only is NPS a good indicator of future growth, it will also get staff and stakeholders to focus on the consumer and the customer experience. Managing your destinations reputation is more important than ever. And it’s a collective responsibility. 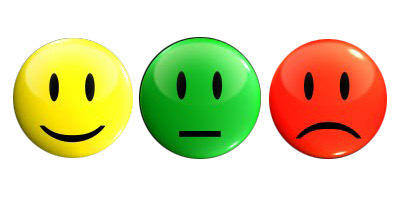 Use NPS to measure and benchmark it. Read The Ultimate Question to learn more about NPS. 07.01.11 | Permalink | Comment? This was one of the messages from John O’Nolan‘s fantastic presentation at the DMO’s and social media conference in Valancia last week. John rightfully pointed out that when people care enough about your product, take time out of their day and go through the effort to tell you that you need to fix a problem, it probably means they care and want you to succeed. This is a huge opportunity. Fix the problem, invite them back and you might have a customer for life, and an advocate for your business. 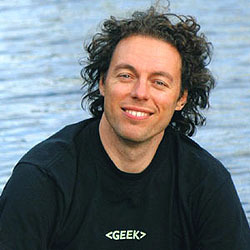 I can’t wait for his book ‘Designing Emotion‘ to come out. I’m working on an idea I’ve had for a long time with the working title “Disneyworld as the perfect DMO”. Here’s a piece of knowledge from Disney every DMO or travel business can copy-and-paste and hang on their walls. Know your audience – Don’t bore people, talk down to them or lose them by assuming that they know what you know. Wear your guest’s shoes – Insist that designers, staff and your board members experience your facility as visitors as often as possible. Organize the flow of people and ideas – Use good story telling techniques, tell good stories not lectures, lay out your exhibit with a clear logic. Communicate with visual literacy – Make good use of all the non-verbal ways of communication – color, shape, form, texture. Avoid overload – Resist the temptation to tell too much, to have too many objects, don’t force people to swallow more than they can digest, try to stimulate and provide guidance to those who want more. Tell one story at a time – If you have a lot of information divide it into distinct, logical, organized stories, people can absorb and retain information more clearly if the path to the next concept is clear and logical. Avoid contradiction – Clear institutional identity helps give you the competitive edge. Public needs to know who you are and what differentiates you from other institutions they may have seen. For every ounce of treatment , provide a ton of fun – How do you woo people from all other temptations? Give people plenty of opportunity to enjoy themselves by emphasizing ways that let people participate in the experience and by making your environment rich and appealing to all senses. Keep it up – Never underestimate the importance of cleanliness and routine maintenance, people expect to get a good show every time, people will comment more on broken and dirty stuff. 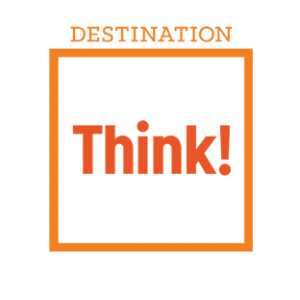 William Bakker is Chief Strategist at Destination Think!. These are my personal thoughts. Copyright © 2000-2009 by William Bakker's Destination Marketing blog. All rights reserved.